The build-up has begun for this Friday's Euro 2012 draw. Play-off winners Portugal, Czech Republic, Ireland and Croatia joined co-hosts Ukraine and Poland, and group qualifiers Spain, Netherlands, Germany, Italy, England, Russia, Greece, Sweden, Denmark and France in the hat for next summer's finals. These countries will battle it out for Europe's top international honour in a competition that has been held every four years since 1960. The tournament has showcased the genius of some legendary stars down the years - from Franz Beckenbauer to Zinedine Zidane - so Goal.com has selected the greatest European Championship XI of all time. The players below have been chosen based on their performances for their countries in the European Championship only. The legendary ex-Juventus goalkeeper is most famous for captaining Italy to World Cup glory at the age of 40, but his European Championship record was also outstanding. 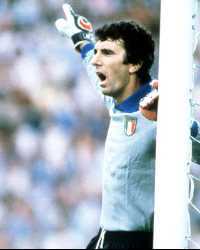 In seven games split between two tournaments, three of which went to extra time, Zoff conceded just two goals. He was inspired in the semi-final toss-of-the-coin win over the Soviet Union, and the replayed final against Yugoslavia as Italy won the cup in 1968. The best player at the 1996 European Championship in England. Playing as sweeper, one of the very last before the role disappeared, Sammer led a declining and ageing Germany side to glory with a string of indomitable displays at the back. The ex-Dortmund hero regularly burst forward from defence to launch attacks, and scored two goals in the tournament including the winner in the quarter final against a dangerous Croatia side. 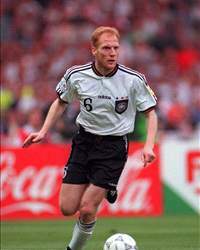 Sammer was also an important member of the 1992 team that finished runners-up in Sweden. West Germany’s 1972 Euro winners are regarded by some as the best international European team of all time. The leader of Die Mannschaft, of course, was Germany’s greatest footballer in history – Franz Beckenbauer. The Bayern Munich icon completely shut out the Soviets in the final in a thumping 3-0 win. Four years later, in Beckenbauer’s last tournament, he earned a runners-up medal after a classic semi-final comeback against Yugoslavia, and an almost-heroic recovery against Czechoslovakia in the final. The greatest left-back of all time was selected in three Euro All-Star Teams. 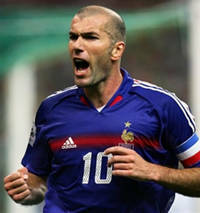 He burst onto the world stage as a 19-year-old during the Euro '88 groups when he silenced Spain’s best player Michel. The Azzurri were eliminated in the semis by the Soviet Union, but Maldini went desperately close to lifting the trophy 12 years later when France equalised in the fourth minute of injury time. 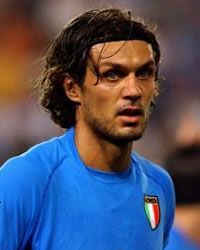 At Euro 2000, Maldini featured as a left wing-back and established an almost insurmountable backline with Fabio Cannavaro, Alessandro Nesta and goalkeeper Francesco Toldo. The most romantic story of Euro '80 centred around the 35-year-old midfield veteran. Back in the 1972 quarter-final win over Italy in which he scored, Van Moer broke his leg. His career at the top seemed to be over and he eventually went into international exile. Having not played for Belgium in almost five years, Van Moer was recalled by legendary coach Guy Thys for a crucial qualifier against Portugal. He scored and went on to be the star of the finals, displaying the energy of a player 10 years his junior. Van Moer dragged Belgium to the final where they lost 2-1 to West Germany. 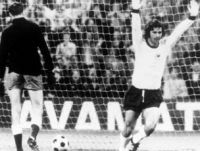 No player has single-handedly humiliated England at Wembley like Netzer did during the Euro '72 quarter-final where the Borussia Monchengladbach midfielder ran the show and was unplayable as West Germany won 3-1 on the night and on aggregate. The playmaker continued his unstoppable form in the semi-final and final – and the Soviet Union couldn’t get close to him as they were thrashed 3-0 in the Brussels showpiece. 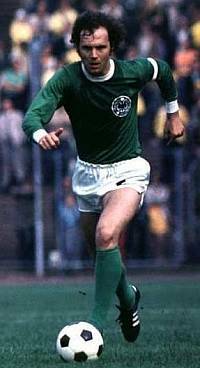 Sadly, Netzer wouldn’t shine on the international stage again due to the presence of the great Wolfgang Overath, whom he was incompatible with. 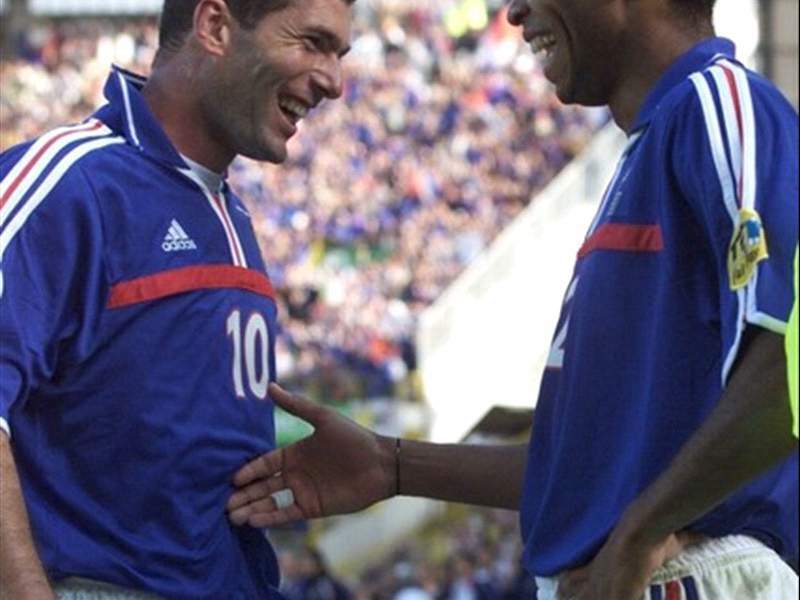 Zidane put up a tired showing in his first tournament in 1996, but was at the peak of his powers four years later when France followed up their World Cup success with European glory. In the groups, Zidane delighted with his trademark ‘Marseilles Turn’; in the knockouts the Juventus star scored a stunning free-kick winner against Spain in the quarters and the Golden Goal penalty that eliminated Portugal in the semis. Four years later in a divided team, he still was able to produce moments of genius – scoring three times – including a magnificent free-kick against England. Regarded by some as Europe's greatest ever left winger, Dzajic was Euro '68's best player. He scored the semi-final winner versus England with a delightful lob before opening the scoring in the final against Italy. Yugoslavia were set to triumph until a late equaliser from Angelo Domenghini forced a replay that Italy won 2-0. 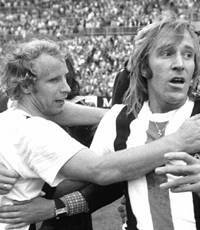 In 1976, he was again up to mischief as he ran West Germany ragged in the semis, scoring to put Yugoslavia 2-0 up. Germany forced extra-time with a late comeback and eventually won 4-2. Dzajic was a master dribbler with a vicious left foot. No Euro player has matched the impact that Platini had at France '84. The Juventus fantasista scored an incredible nine goals, including two hat-tricks, and was to France what Diego Maradona was to Argentina at the World Cup two years later. 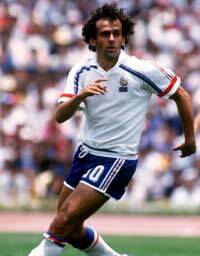 Playing in front of the Fernandez-Tigana-Giresse triangle, Platini broke forward to create havoc. He scored the 119th minute winner in the classic 3-2 semi-final victory over Portugal, and also broke the deadlock with a free-kick in the 2-0 final success against Spain. Simply the best passer in the history of the game. Undoubtedly the greatest penalty-box striker ever, Muller’s statistics in all competitions are just incredible and this includes the European Championship. At Euro '72, he scored both goals in the 2-1 semi-final win over Belgium, and hit another double in the 3-0 final victory against the Soviet Union. In qualifying, Muller scored six goals in six games as West Germany topped Group 8 while he also found the back of the net in the quarter-final conquest of Wembley. An absolute goal machine whose record at international level reads: 62 games, 68 goals. The symbol of Rinus Michels’ wonderful Euro '88 winners was van Basten, who finished top scorer with five goals. His clinical hat-trick eliminated England, before he scored the 88th minute turn-and-shot to knock out hosts/favourites West Germany. 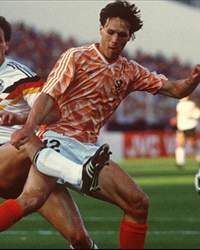 But it was the final itself for which van Basten will always be associated with as he thundered home an impossible volley – the greatest Euro goal ever – to finish off the Soviets in a 2-0 win. Four years later he enjoyed less success as the Dutch lost to shock winners Denmark in the semis, with MVB missing a crucial spot-kick. Naturally, in a competition that is over 50 years old, it was never going to be easy to select just 11 players. There are numerous stars who came close to making the XI, but just miss the cut. These include - among others - Czechoslovakia's Euro '76 heroes Ivo Viktor, Antonin Panenka and Zdenek Nehoda, West Germany's Euro '80 prodigy Bernd Schuster, France's '84 midfield motor-man Jean Tigana, Denmark's Peter Schmeichel, Czech Republic duo Karel Poborsky and Pavel Nedved, and Portugal's Luis Figo. Do you agree with the above selection for the greatest European Championship XI of all time? Who doesn't deserve the spot they have been given and who else should be in the list? Let us know what you think the team should be by commenting in the box below and get involved with the debate.